In the early 2000s AMD was on top of the world, they had a desktop processor that was what everyone wanted. AMD was handily beating Intel in terms of performance and pushing x86-64 computing out to the world. In 2006 AMD made an odd decision to buy GPU maker ATi for a rather hefty sum. This one act threw AMD off their game so badly that they operated in the red for many years after the purchase. However, over the last 2-3 years AMD has made some well-planned changes internally. These changes included dropping the mobile focus and creating the RTG (Radeon Technology Group). They have secured some technologies through purchases and cleaned up some financially impacting deals. All of this (including tightening their belts) has given them the breathing room to develop and launch Zen. As we reported in 2015 and 2016, Zen was AMD’s hail marry pass. The good news for AMD is that Zen has been very good for them. The Ryzen CPU is getting solid reviews and showing performance that puts them back in direct competition with Intel. They have even made Intel react to their launches in a rather clumsy manner with the leak of ThreadRipper. Now they are dropping a potential bomb on Intel’s server market grip. This is in the form of the EPYC line of server/datacenter CPUs. EPYC is a monster plain and simple. It is clear that AMD put in some hours planning and building out this product. With 32 cores, 64 threads, eight channels of DDR4 memory (maxed out at 2667MHz), and a whopping 128 PCIe Gen 3.0 lanes this single CPU can stand up, specification wise, to a current 2P Intel system and still come out on top in many areas. AMD will also offer 24, 16, and 8 core alternatives to help fit your budget. These lower core count models will still have 8 channels of memory and 128 PCIe Gen 3.0 lanes though. As we have said, this is going to force Intel to react in a way they have not had to in years. Typically, Intel is slow to make major changes so their initial reaction is probably going to be as clumsy as their response to ThreadRipper. AMD will have Intel in reactionary mode for at least 18 months if not longer and this could help them regain consumer confidence, which is sure to help AMD grab up market share in other areas (think GPUs). 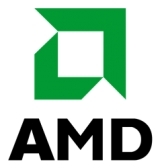 AMD could enjoy some additional benefits as we mentioned yesterday with HBM supply. AMD is claiming that this is due to the compilers being Intel Biased, but we are just not sure that a .5 multiplier is accurate and justified. Time and real world benchmarks will tell if these claims are indeed accurate or if AMD fixed the numbers to appear better at launch time. Still, even with the benchmark issues this is a good day and great launch for AMD. They get to push Intel back on their heels now, and things will not stop with Ryzen and EPYC as AMD is already planning for Zen 2 and 3 on a 7nm process. It is going to be an interesting few months in the CPU world.